Started learning crochet at the age of 7, Amy-May is now Owner and designer at Off the Hook Mamma. Do what drives you & don’t stop. When it comes to other hobbies Amy-May feels Crochet ate up all the other hobbies she had. However, she became a Photographer and uses those skills in her current crochet business Off the Hook Mamma. She is a Crafts lover, an avid reader, and loves research work too. But these have taken a backseat inc the onset of this new business she has. We simply loved her attitude towards her work and passion. We really hope to see you on the blogging front Amy-May. 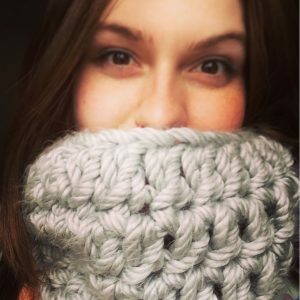 You are doing an awesome job for all us crochet lovers and the crochet community as a whole. Keep publishing lovely patterns.